The Encounter: Drawings from Leonardo to Rembrandt brings together 50 drawings by some of the outstanding masters of the Renaissance and Baroque. Many of the exhibits are rarely seen in public due to their age and fragility and the exhibit includes 15 drawings lent by HM The Queen from the Royal Collection. 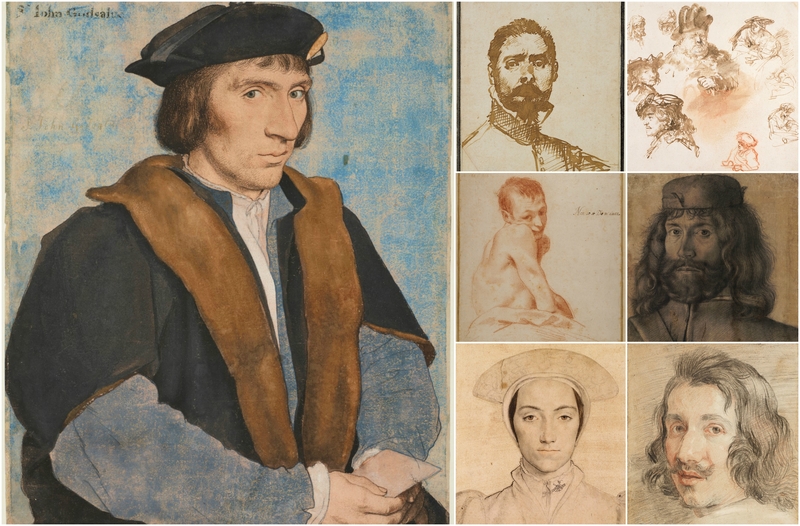 Eight of these are portraits by Hans Holbein the Younger and give you a searing insight into the powerful personalities within the court of King Henry VIII for whom he was the court painter. When should I go there? 13th July – 22nd October 2017 – adult tickets start at £8 – £10 with donation. The Encounter: Drawings from Leonardo to Rembrandt brings together fifty portrait drawings from a variety of artists who worked throughout Europe including Gian Lorenzo Bernini, Annibale Carracci, François Clouet, Albrecht Dürer, Anthony Van Dyck, Benozzo Gozzoli, Hans Holbein the Younger, Antonio di Puccio Pisano (Pisanello), Rembrandt van Rijn, Peter Paul Rubens, Francesco Salviati and Leonardo da Vinci. By including a display of the types of drawing tools and media used – from metalpoint to coloured chalks – and considering the individuals depicted in these often intimate portraits, many of whom remain unidentified – the exhibition will show how these artists moved away from the use of medieval pattern-books as source materials, to study the figure, and the face, from life. Magellan PR is on twitter: @MagellanPR / on Facebook: MagellanPR / on Pinterest: Sue Lowry / on Google+: Sue Lowry & MagellanPR and on Flickr: Sue Lowry. For more information on our company, visit www.magellan-pr.com. Follow our other blog focussing on travel in the South of England – A3 Traveller. Follow A3Traveller on Twitter: @A3Traveller. Relying on mobile technology, we split our time between London and the Hampshire countryside – town and country. We’d love to hear about your upcoming marketing plans or projects. Tell us all about it by giving us a call on+ 44 (0) 2392 361 426. Want to keep up-to-date with our news? Follow our adventures across our social networks.